Today, I delve into the PVA gum printings of the 1c Northern Lights and Dogsled sheet stamps. 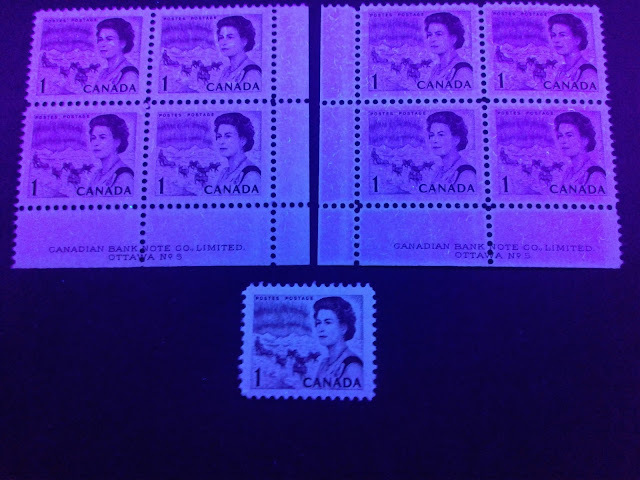 According to Unitrade, the first time these appeared was in November 1971, with the general tagged stamps, and then in December 1971, the untagged sheet stamps were issued. 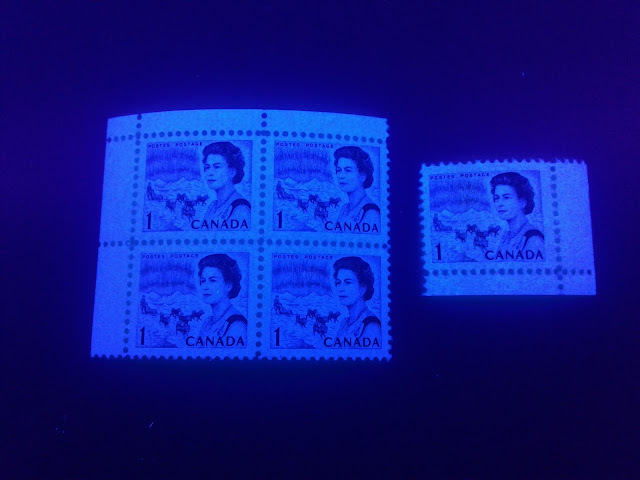 Finally, in January 1972, the stamps with Winnipeg centre bar tagging were issued. A Very Special Offer! 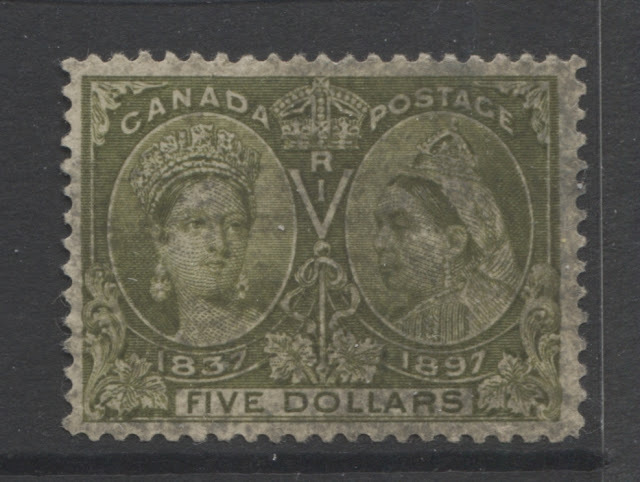 A Complete Set of 1897 Jubilees For As Little As $540!! I interrupt my regular posts this week to bring you a very special offer: a complete mint, used and unused set of the 1897 Jubilee Issue. I am offering this at auction on E-bay for a minimum bid of $540! That works out to be just over $100 for each of the five dollar values! Today, we delve into the individual stamps of the fascinating 1967-1973 Centennial issue. We start with one of the most complex of the stamps from this issue: the 1c Northern Lights and Dogsled design. Perhaps the only stamp more complicated than this is the 8c slate Parliamentary Library.